OK, be honest. You likely own a closet brimming with shoes and most of them are probably similar to one another. 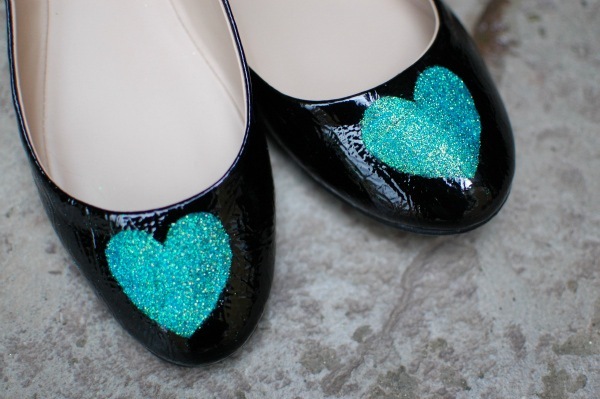 Here’s how to take a pair of plain shoes and customize them in a glittery way that will make them stand out in a sea of boring shoes. 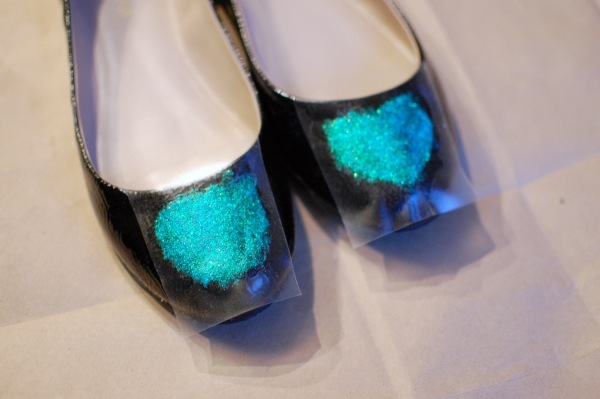 I recently saw a tutorial for taking a pair of plain shoes and completely covering them with glitter. Then, I came across an even better idea for a more subtle pair that was much more to my liking. I took the simpler idea and tweaked it just a little and I now have a pair of shoes that I love. 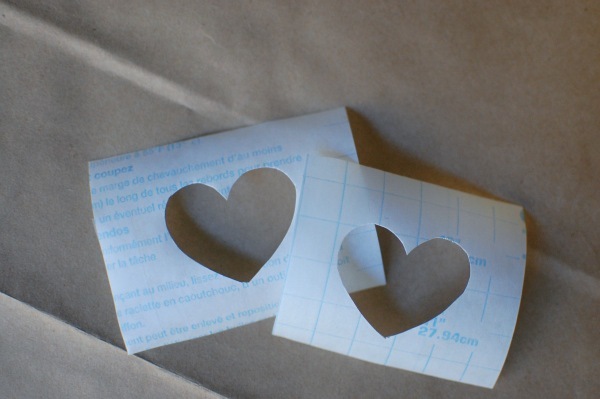 Find a shape you like and print onto a sheet of paper to use as a template. 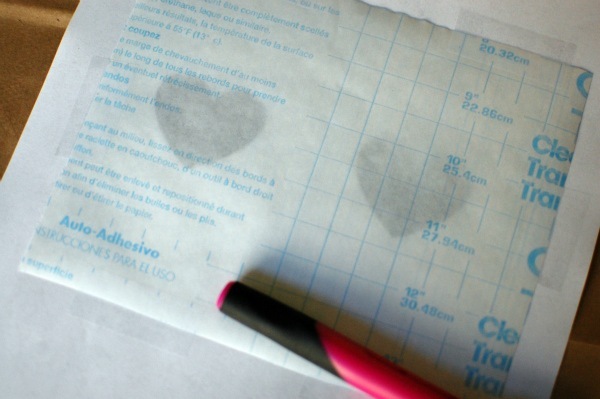 Lay clear Con-Tact paper over your template and tape to secure. Using a sharp utility knife, cut out your shape and discard center piece. Lay your Con-Tact paper on your shoes, ensuring that all edges have a good seal with the shoe. Mix Mod Podge with glitter. I eyeballed this, but I used roughly a 1-to-1 ratio between the Mod Podge and glitter. 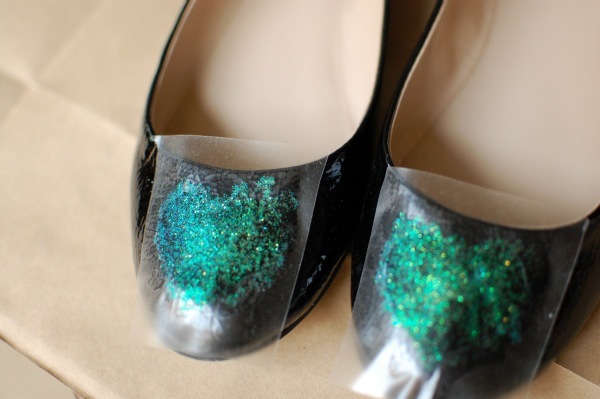 Paint your glitter mixture over the exposed part of your shoe in a thin, even layer. Allow to dry and repeat as many times as necessary to achieve your desired look, letting each coat dry completely in between. 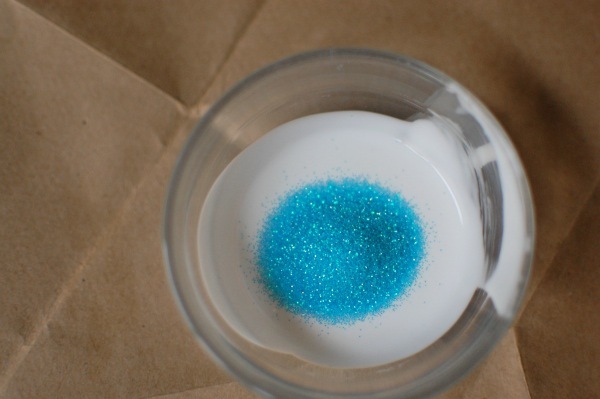 If you’d like, spray an acrylic sealer over your design to seal the glitter. I skipped this step because the glitter covered such a small area. 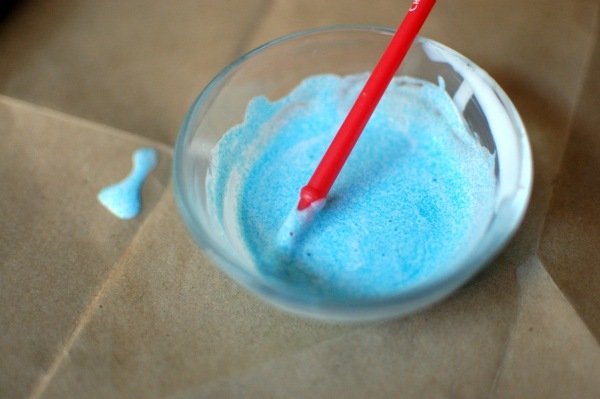 You could alternately use a final coat of Mod Podge to seal the glue. 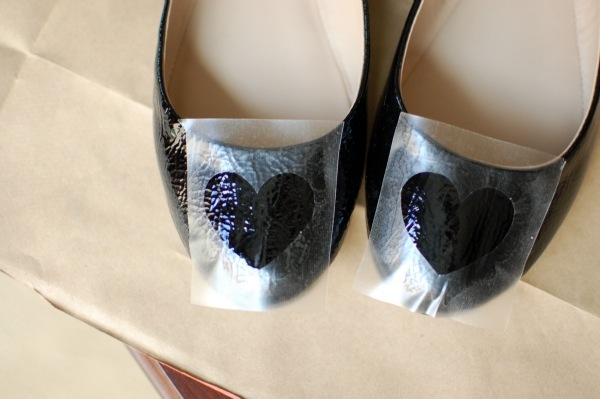 Carefully remove the Con-Tact paper and kick up your glittery heels!